Compared with last week, the classification of the Global Poker Index (GPI) dated of March 24th didnt know great change, especially in the Top 20. 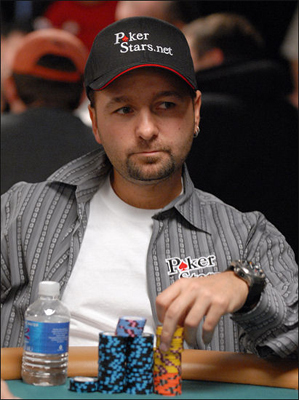 The Canadian poker player Daniel Negreanu keeps the first place of the ranking, already since more than six weeks now. He is always followed by Ole Schemion, Vanessa Selbst, Marvin Rettenmaier, Jason Mercier, Dan Smith and Mike McDonald. Shannon Shorr rises in the 8th place to the detriment of Philipp Gruissem, while Sorel Mizzi closes the Top 10 like last week. In the 11th place, we find Ravi Raghavan who, like during last week, is followed by Joseph Serock (12th), Erik Seidel (13rd), Jeffrey Rossiter (14th), Paul Volpe (15th), Bryn Kenney (16th), Scott Seiver (17th), Jonathan Duhamel (18th), David Peters (19th) and Michael Watson (20th). Scott Seiver and Jonathan Duhamel have swapped their place. Eugene Katchalov raises in the classification (21st), after gaining 22 places for having won the High Roller tournament with a buy-in of 2.200 of the EPT Vienna. As announced during last Friday, JC Tran has made a remarkable jump in the ranking. His victory in the Main Event of the WPT Bay 101 Rolling Thunder, rewarded with $302,750, has allowed him to return in the Top 300, with a gain of 180 places. He has passed from the 331st place to the 151st place of the Global Poker Index. But the best progress of last week was signed by James Calderaro, for his performances during these last first months of the year, during the Main Events of the poker tournaments WPT Borgata Winter Poker Open (41st), WPT Lucky Hearts Poker Open (1st), WPT Rolling Thunder (10th) and WPT Jacksonville (2nd). This week, he won 380 places and rises in the 240th place of the classification.